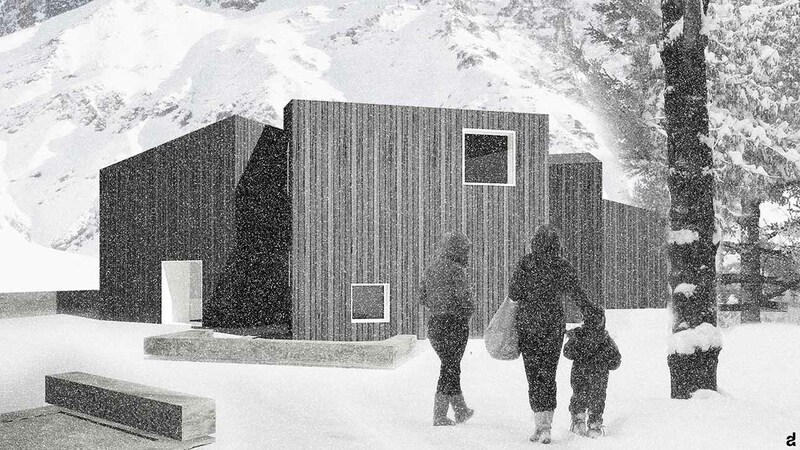 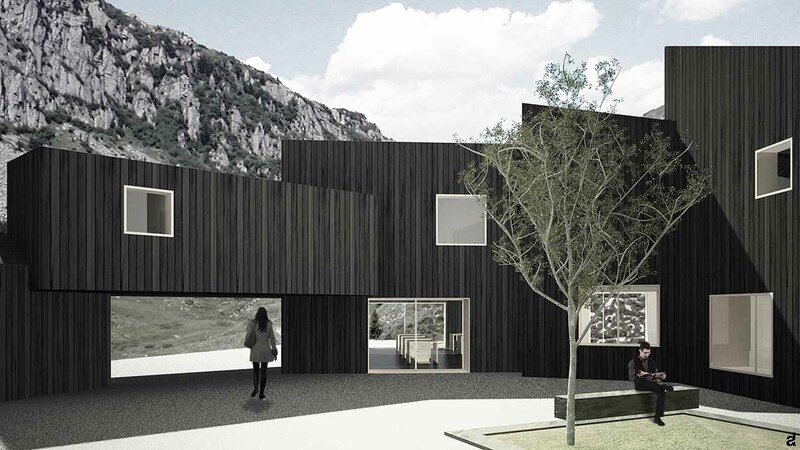 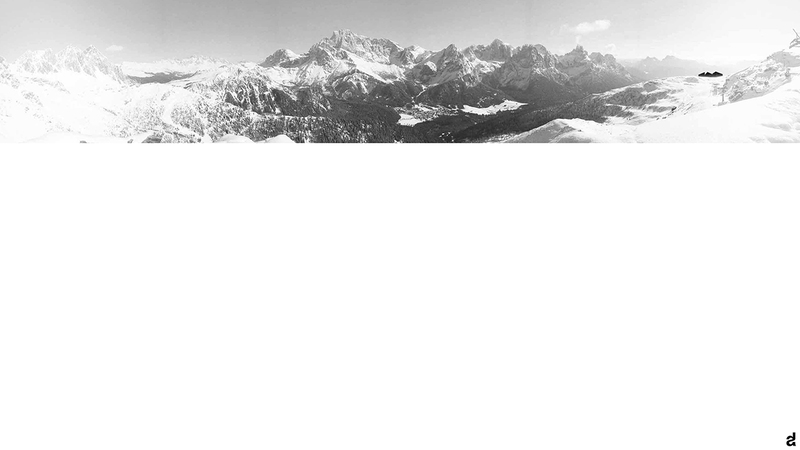 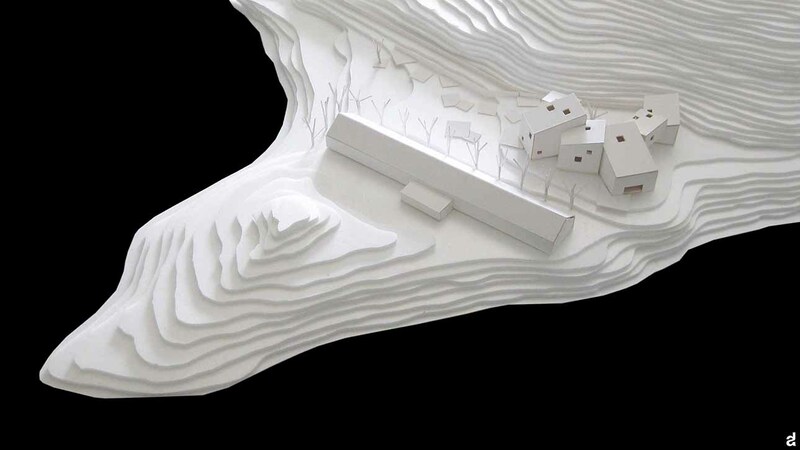 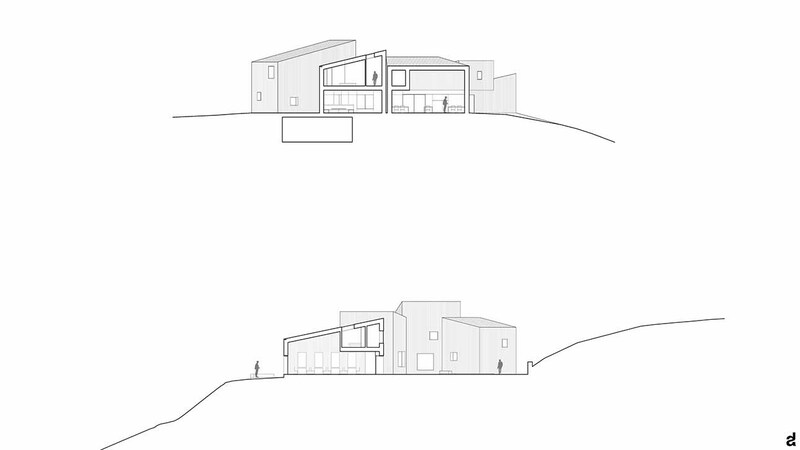 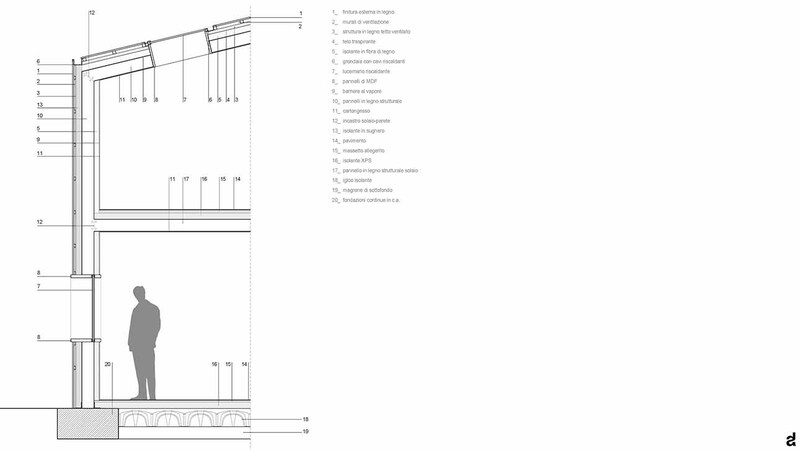 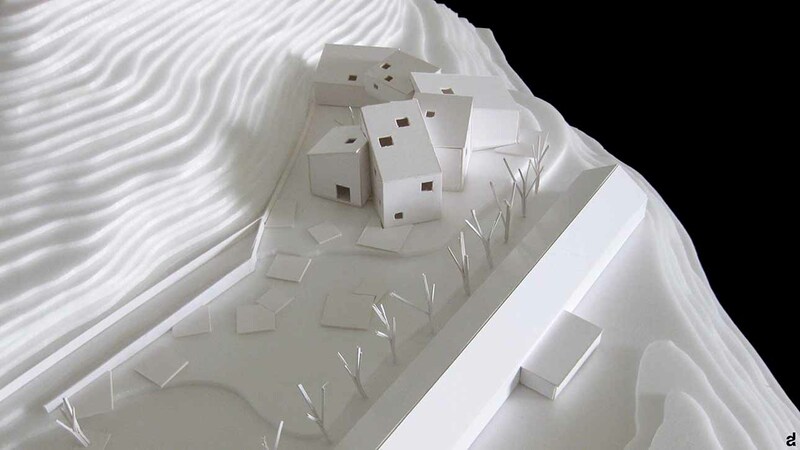 The design concept for the redevelopment of Malga Fosse, in the first attempt to re-establish close contact with the natural environment and landscape of the highest quality. 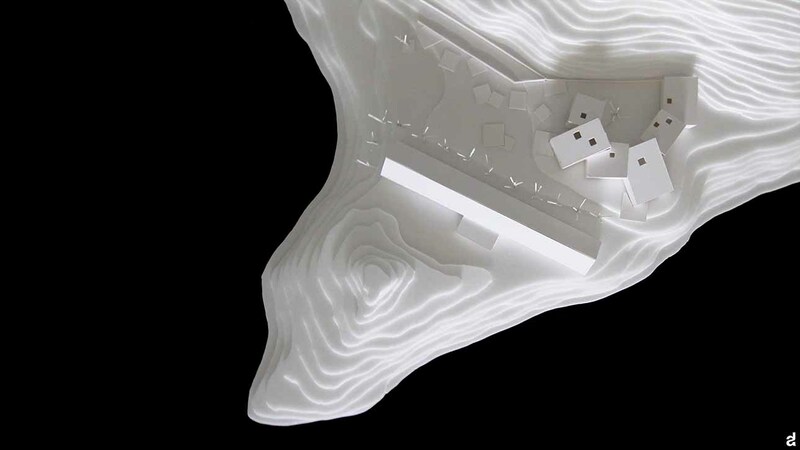 In fact, the integration of the project with the spectacular landscape has been the starting point on which the conceptual idea has placed its bases. 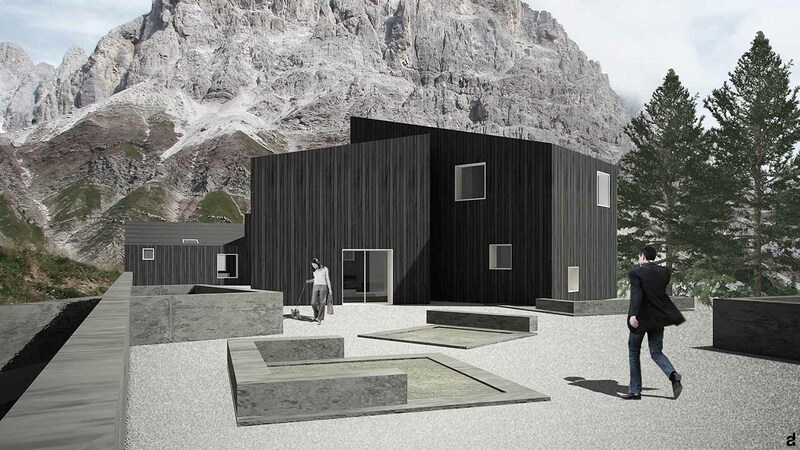 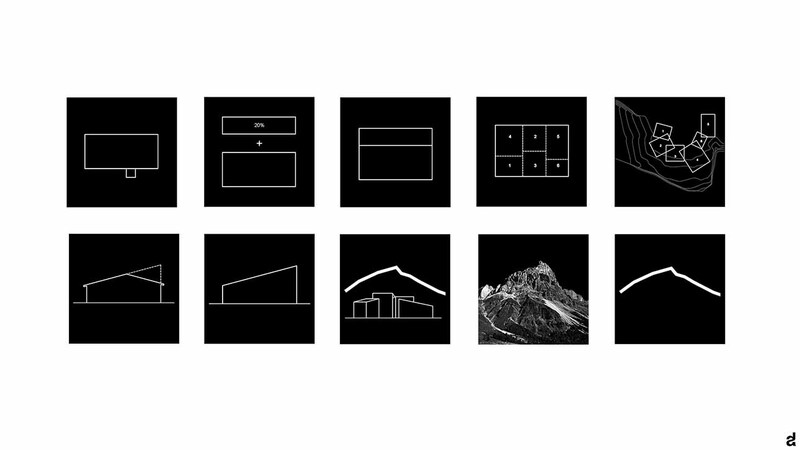 The relationship with the topography of the ground has influenced the geographic position of the volumes in the plant, while the relationship with the huge sky-line of the Dolomites, has influenced the slopes of the roofs of the volumes. 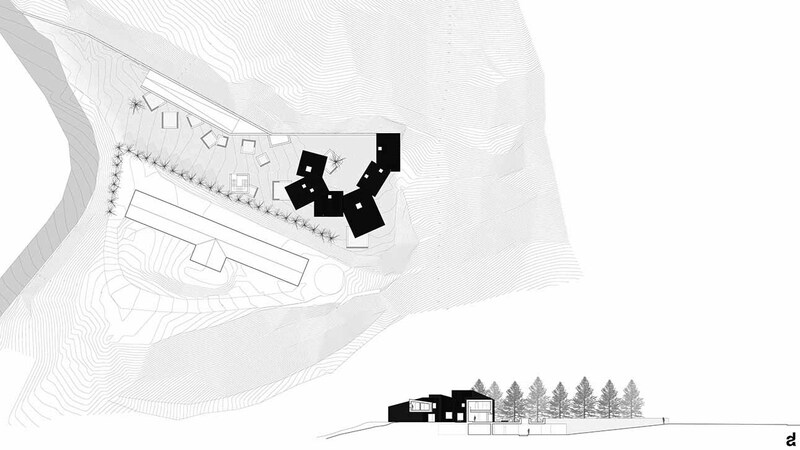 The architectural structure of the building comes from the decomposition of the only compact element that characterized the old building, in many "rooms" that follow the topography of the ground, draw spaces of different functions, while on a slope on the border between the building and the hut there is a row of fir trees and it filters the view, "fencing" the hut with a green barrier and defining the borders of the lot. 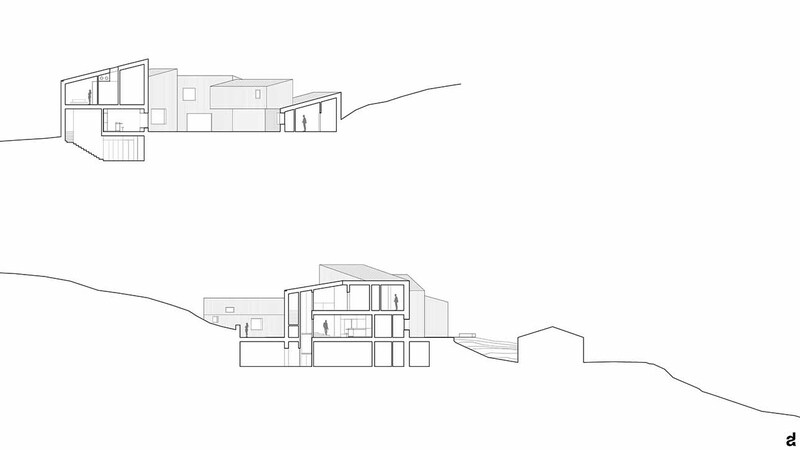 On the ground floor, after a small input space, where there is the reception, there is also positioned the stairway and the elevator that connects to the system of the rooms on the upper level, follow each other: bar, living area and a restaurant. 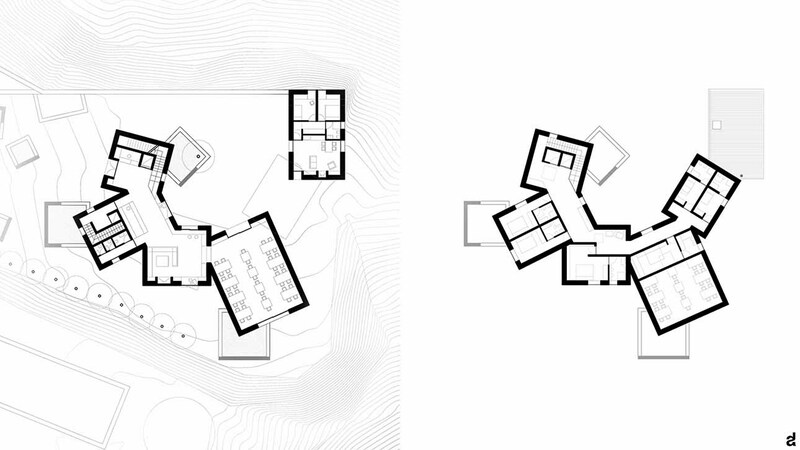 Separate from the others volumes there is a small caretaker's house, which is aggregated in the formal design at the top of the building with the bedrooms that at one point give free passage to the entrance fee for those arriving by route of Financiers; identifying in this way, the tree with the small garden in the courtyard. 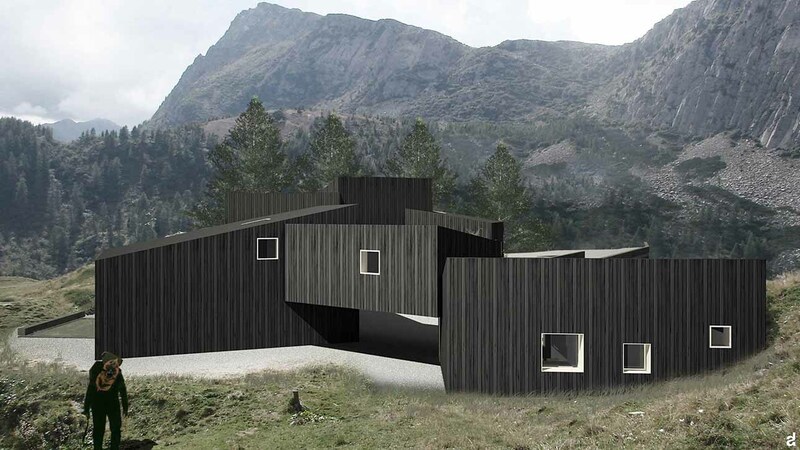 The rooms overlook the landscape and the natural ventilation is ensured through openings made on both the front and on the roof, this system of square openings, and they are calibrated in different functional areas to get natural light inside, and they draw the various statements inside the building and they form spectacular portions of the landscape as if they were great natural pictures.